Natural Antioxidants from indegenous sources and evaluation of their anti-inflammatory, antinociceptive, antidiabetic and other bioactive properties. Chemical exploration and value addition in bioactive molecules isolated from medicinal plants and their associated endophytic fungi. Production of useful Laboratory chemicals as AlCl3, Al2(SO4)3, Na2S, FeS& FeCl3 from ironfor research organizations and educational institutions. Utilization of Plastic Wastes in Road Construction. Development of Functional Polymer grafted Cellulose Power to be used in Textile EPTs. Synthesis of viscose fibre from Tossa jute (Corchorusolitorius) and White jute (Corchoruscapsularis). Synthesis and application of magnetite nanoparticles (Fe3O4) for waste water treatment. Optimization of methods for synthesis of low molecular weight chitosan and different type of chitosan derivatives for use as natural food preservatives. Synthesis and characterization of co doped dielectric material for ceramic capacitor. Development of method for cost effective and quality up gradation of phosphate based dry fire extinguishing agent. Synthesis of carbohydrate acetate composite (CAC) for use in waste water treatment. Formulation and development of ultrasound gel from ingredients available in local market. Develop biochar products to reduce greenhouse gas emission and to assess its impact on phyto availability of arsenic and heavy metals in contaminated soil. Production of humic substances (humic acid, fulvic acid) from indigenous sources for the reclamation of contaminated soil and waste water. Development of a technology for the preparation of bio-adhesive from pectin extracted from mango peels colleeting from mango processing industries. Synthesis and Application of Magnetic nanoparticles (Fe3O4) for waste water treatment. Low cost and Environment friendly semiconducting materials synthesize and property optimization for solar cell applications. Formulation and development of herbal Skin care products by introducing Neem, Turmeric and Aloe. Development of processes for production of aqueous and protein based foam concentrate for extinguishing Power plant and Aircraft fires. Isolation of bioactive metabolites from Marine Weeds and Sponges as well as their associated symbiotic Fungi. Qualitative and quantitative determination of bioactive metabolites in field grown plants and callus tissues obtaining from rauwolfia serpentine L and Bacopamonnieri L.
In Vitro Regeneration and Molecular Characterization of some varieties of Brassica in Bangladesh. Analytical Method Development for determination of Drugs and metabolites thereof in blood samples. Recycling of plastic and rubber wastes for the production of fuels and chemicals. Cultivation of Different Species of Algae with High Lipid Content to Produce Bio-fuel in Commercial Scale. High efficiency regeneration of Gynuraprocumbens(Lour.) Merr. an important medicinal plant and identification of its active compounds through NMR profiling. Syntheses of lignin derivatives and their utlization in Paint, Adhesive, Cement, Agriculture, Food & Cosmetic Industries. Synthesis of textile grade dyes and pigments from natural waste materials for dyeing of fabric and formulations of ballpoint ink. Development of ferromagnetic particle through chemical route. Control of mosquitoes by spraying suitable bio-pesticides. Development of Agar plant (Aquilaria agallocha Roxb.) 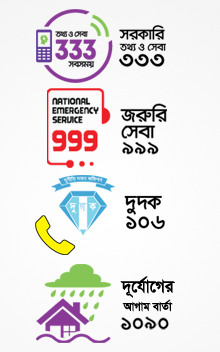 cultivation protocol for commercial exploitation in Bangladesh. Taxonomical identification of symbiotic fungi from medicinal plants. Analysis of different skin diseases using digital image processing technique. Development of a Universal Method for Rapid Determination of syringyl/gauacyl Ratio, phenolic hydroxiyl Group Content on Lignin from wood and Non-wood Raw Materials by NIR spectroscopy and Chemometric Approach. A Method for Rapid Determination of Cellulose in pulp by UV-Spectroscopic data and Chemometrics. Preparation and characterization of nanocellulose reinforced polymer nanocomposites. A biorefinery initiative in producing rayon grade pulp from jute cutting and caddis. Production of Wood adhesive from spent liquor lignin. Cost-Benefit Estimation for Alternative Rooftop Production of Spirulina in Comparison with Traditional Production to Meet Sustainable Development Goal (SDG 2, 11, 12) & Urban Small Industrialization and food Systems. Synthesis of thermoplastic modified thermosetting Polymers, composites and nanocomposites. Development of poly aluminum chloride to be used as coagulant for textile water treatment. Isolation and Identification of indegenous fungi for the bioremediation of dye effluents. Design and development of Microcontroller based Automatic Voltage Stabilizer. Development of Smart Control and Monitoring System for Electrical and Electronic equipments using Internet Of Things (IOT). Process for production of furnace inner (Silica) brick from waste mateials. Process for production of Tailor Chalk (Marker) from paper mill sludge. Green route synthesis of nanomaterials and their potential uses in environment, energy and electronic industrise. Construction of low cost electrical equipment for developing Standard test method for measuring Electrical Conductivity of Liquid and solid materials. Fabrication of highly Transparent and Conducting Substrate (TCS) of using low cost and environment friendly materials for consumer electronics. Bioassay screening of extracts, fractions and isolated metabolites obtained from natural sources. Process for the production of esters and its derivatives from locally available chemicals and their bioactivity observations. Cost effective extraction of oil from oil palm seed and development of expelling technology. Extraction, phytochemical and pharmacological screening of Sesame oil. Cultivation of Thai Guava at Experimental Field of BCSIR Laboratories, Rajshahi Through Sustainable Agriculture Practices. Preservation Technology, Yield and Quality Characteristics of Different Jackfruit Cultivars Grown at Rajshahi Region of Bangladesh. Identification and isolation of active ingredients from native medicinal plants of Bangladesh by using LCMS and Ion-trap Mass Spectrometry. Development of technology for better yield of lac on different host plants. Investigation of plasma technology to germination rate, growth rate, production rate, and anti-fungal activities of potatoes during post- and pre-harvest. Synthesis and optimization of food grade and industrial grade vanillin and its derivatives from heavy industrial waste and other plant sources. Sustainable production of food-grade cellulose derivatives using agro residue as resource. Isolation and Phytochemical screening of Biologically active compound from different types of oil seeds to find out lead compounds. Natural dye from the indigenous plant materials and their different application. Development of Culture Technology for Insect larvae as Live Fish Feed. Design and development of a cost effective Green Refrigerator and Solar Hybrid Electric Cooker. Design and Development of safety footwear for fire fighters. Development of Technology for Manufacturing Flame Retardant Leather. Preparation of acrylic tanning agent for application in leather processing. Design and Development of combined Shoe Polishing and Sole Cleaning Machine. Development of eco-friendly tanning agent from indigenous plant. Production of Filler from poultry Feather and its application in Leather Processing. Production of Counter Stiffener from the wastes of Leather Products Industries. Development of value added products from Aquillaria malaccensis Lam (Agar) and Tagetes erecta Linn (Genda phul). Development and validation of analytical methods for the estimation of vitamins in medicinal and dietary products. Chemical fingerprint profile of secondary metabolites of selected medicinal plants. Removal of Heavy Metals from Polluted Water Using Locally Available Low Cost Adsorbent Materials. Removal of Lead from waste water by low cost Adsorbents. Isolation and characterization of Bioactive compounds from AnethumsowaLinn. Development of Low cost Arsenic Removal Technologies to mitigate Arsenic from the contaminated water. Assessment of physico-chemical properties of rainfall water and its treatment for drinking and agricultural purposes in Bangladesh. Detection of Caffeine, Ethylene Glycols and other health threatening ingredients of different Beverages (Soft drinks & Energy drink) available in the local markets of Bangladesh and evaluation of their toxicological effects. Detection, accumulation, distribution, source, fate and decontamination of hazardous antibiotic (Nitrofuran & its metabolites) in meat, chicken, egg and feed in Bangladesh. Cereal-Based Functional Foods for Young Children. Dr. Md. 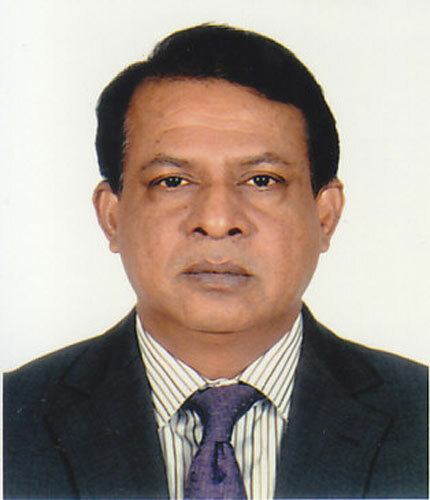 Abdus Satter Miah, PSO (PL). Bio-degradation of dye in Textile Effluents by locally isolated microorganisms and development of a Bio-ETP prototype. Development of probiotic enriched dairy products and food supplements by locally isolate probiotic bacteria. Study on flavor, quality characteristics and shelf life of biscuits available in Bangladesh. Development of processes of a dehydrated vegetables & spices. Preparation of Malted Complementary Food for elder People. Investigations on the preparation of protein and vitamin A enriched foods to combat nutritional diseases. Identification of heavy metal contamination in poultry feeds in Bangladesh and measure its transfer to poultry food products like chicken muscle, liver, eggs, etc. Development of dry fruits products from locally available fruits in Bangladesh. Aflatoxicosis and its amelioration in alive fresh water prawn and fish feed collected from different hatchery in Bangladesh. Isolation of Lycopen from tomatoes and development of various value added products by using it. Production Instant mixed spicy-fruit paste. Development of technology for the production some food supplements from indigenous herbs/plants. Extraction of collagen from scales of different species of Bangladeshi fishes, their types and nutritional analysis and examination of their multi industrial applications. Effects on antioxidant compounds and in-vitro antioxidant activities of gel and skin of aloe Vera leaves in different drying methods. Development of nutritionally improved mushroom fortified atta. Investigation of DBPs (Disinfection By Products) in treated water used for food processing in aspect of food safety. Characterization and Utilization of Nonconventional Oilseeds in Bangladesh. Explore the effect on the oxidative stability and antioxidant activity of processed food products by using different plant extracts during processing. Factors influencing growth of α-toxin producing fungi in local nuts, legumes and cereals and their control measures. Validation of food borne pathogen both Aerobic and anaerobic bacteria detection method from food samples through Ploymerase Chain Reaction (PCR) compared with gold standard cultural method and Develop of safe & effective preservation method for chilled foods and food products. Study on Hypoglycemic, Hypolipidemic and antioxidant properties of spices (Cardamom, Cinnamon, Clove, Coriander, Fennel, Garlic, Ginger, Turmeric etc.) in normal and Steptozotocin induced diabetes. Development of Therapeutic Diets for Malnourished Persons (Phase-I). Effects of formulated fish feed in comparison with available fish feed on fish growth in laboratory condition. Isolation of vibriolytic phages and efficiency of phages as a therapeutic agent against cholera. Toxicological impact on Long Evants rat through deposition of Heavy Metals (eg. Methyl Mercury) in indigenous fishes. Screening of Polychlorinated Biphenyls (PCBs) contamination level in soil and sediments of possible affected areas in Bangladesh. Heavy Metal Contamination in Dhaleshwari River Water and on Surface Soil in the Visibly of Tannery Industries. Effects of some selected spices and plants on cardiac enzyme markers through molecular analysis and gene expression profiling. Development of nutritive food products using gluten free raw materials. Screening of antibiotics producing uncultured bacteria for inhabitation pathogens without detectable resistance. Development of quality seeds of legumes/pulses plants: Checkpea (Cicer arietinum), Pea (Pisum sativum) etc. through nanotechnology. Development of value added herbal products (skin care and medicated soap, facewash cream, lip gel etc.) from locally available indigenous plants (Azadirachta indica, Curcuma longa). Hydrogen fuel production from SQNG (sub quality natural gas). Products development from natural rubber latex (NRL). Identification of uncultured fungus sp. and growth factors from mould for production of Agarwood oil. Isolation of stevioside and related compounds from two types of Stevia rebaudiana (Bertoni) Bertoni species from Bangladesh. Formulation and creation Fragrance and flavor materials from natural and synthetic sources. Isolation and structure elucidation of bioactive constituents from endophytic fungi of a local medicinal plant Blumea lacera with anti-diabetic potential. Extraction of natural colors from Asiatic penny world (centella asiaticca), jambolan (Syzygium cumini), Gum Arabic tree (Acacia nilotica), Common bean (Phaseollus Vulgaris) and Red Spinach (Amaranthus dubius) for using in food industry. Development of Molecular Sieve from available domestic biomass use in petrochemical refining industry. Production of magnetic red oxide from iron containing waste materials. Synthesis of Cellular Light Weight Roof Insulation Foam using thermosetting Resin. Production of Light Weight Aggregate using Industrial Waste and Synthetic Organic and Inorganic Polymer. Modifications of ceramic water filter using locally available raw materials and its applications in polluted water. Development of glass ceramic materials using Fly ash, waste glass & ceramic powders by incorporating nucleating agents and characterization of the products. Development of an eco-friendly high performance nano-ceramic coating. Fabrication and Characterization of a Ceramic magnet (strontium ferrite) to use in electrical motor for automobiles. Drug loaded multi-component bio-ceramic matrix for biological applications. Development of refractory brick from local materials. Corrosion Behavior of Low Cost Nano-Si Ceramics in Atmospheric Environment. Production and characterization of deflocculating agent for tiles sector. Development of calcium based cementitious materials from bio-resources and its application. Preparation of nano black iron oxide. Calculation and estimation of materials properties and production parameters of industrial metallurgical processes. Industrial process development for mineral separation from Padma and Tista River Basin. Development of zeolite from industrial wastes. Assessment of valuable minerals and rocks of Quaternary Gravel Deposits in and around Joypurhat, Bangladesh for industrial application. Development of an import substitute alloy for automobile (e.g. alloy wheel etc.) applications. Utilization of rice husk ask as soil amendments and its effects on plant growth. Recovery of precious metals (i. e. gold) from electronic wastes. Identification and Characterization of Quorum-Sensing Signaling Molecules of Salmonella sp. Development of Semi- automatic Juice filling device. Development of a “Chatal” Boiler for Local Rice Mills.